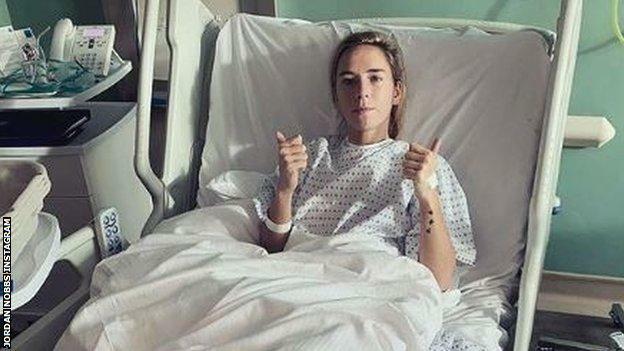 Jordan Nobbs, the England and Arsenal midfielder, is coming to terms with the fact that she will miss the Women’s World Cup in France in June and July. The 26-year-old ruptured an anterior cruciate ligament during Arsenal’s 4-0 win over Everton in November. 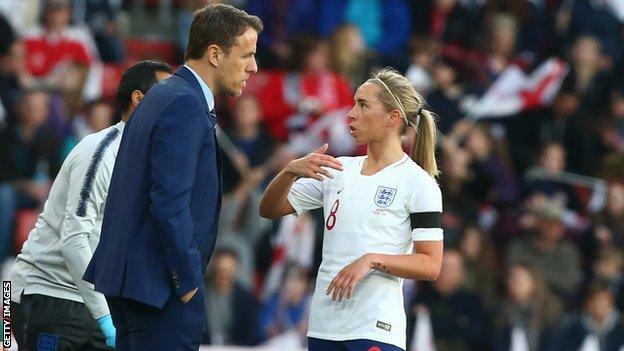 Nobbs, a player described by Lionesses boss Phil Neville as an “invaluable”, was ruled out of the World Cup the following month. Nobbs, capped 56 times by England, remembers the moment she suffered the injury. “I went to press the ball and I felt like it bounced a bit funny and as I went to turn… I replay it in my head where my foot just didn’t come with me, so obviously my knee has taken the hit. I knew straight away. “I heard it pop. Probably if I hadn’t heard it pop, I wouldn’t have been in as much shock or scared of what happened. “As soon as I heard that, it was weird. It was like everything stopped for two seconds and then my knee started to tingle. I knew then that it was a big issue. “I love this club, Arsenal, but the first thing on my mind was the World Cup. This is the second time Nobbs has suffered an injury in the build-up to a World Cup. In 2015, the midfielder, then 22, tore a hamstring two weeks before the tournament in Canada. She travelled with the team, but only played in England’s 2-1 group stage win over Colombia as England eventually finished third at the tournament. “The decision on missing this World Cup is based on the last one,” she said. “I don’t want to say it was torture being at the last World Cup, but being injured and being in that environment, in that bubble and you get to a semi-final… I wanted to do more than what I did there. Nobbs, a two-time Women’s Super League winner with Arsenal, says the support she has received from the football world has been “incredible” and that includes a gift from Neville. She said: “He’s been incredible. He actually sent me a Lego set, which sounds stupid but he knows that sometimes I’ve done that to take my mind off football. “It was like the London Bridge. It’s a long process so I definitely have nine months of doing that. “It’s the little things like that, that aren’t asked for – but words aren’t always needed. “I think he knows, having had injuries himself. He gives me full support. He’s wanted me around the team. He’s wanted me making decisions on being in England camps or being in the media. 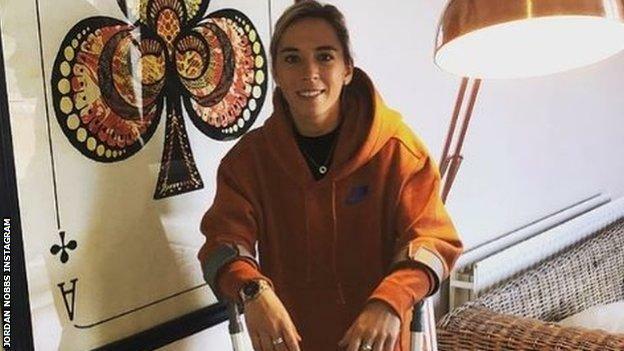 Nobbs, who is now two months into an expected nine-month rehabilitation process, says her injury has also take a mental toll. “Some days I’m great; I’m ready for the fight,” she said. “Some days I walk in the gym and I want everyone else to leave; I want to be on my own. “You don’t know what’s going to happen. You have to accept that good days and bad days are all part of the experience, part of learning who you are as a player and as a person. “One thing I’ve learned, even after the last two months is don’t take even the smallest things for granted, like walking to my car, trying to get in the car or being in the bathroom comfortably.